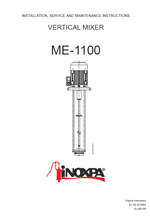 The ME 1100 series of the high shear vertical mixers present a solution for the processes of dispersion, emulsifying, homogenisation and disintegration of solids in a wide range of products in the food-processing, cosmetics, pharmaceutical and fine chemistry industries. These mixers are intended for work under the atmospheric pressure and with the products of either high or low viscosity. The mixers are recommended to work with anchor type agitators if the application involves highly viscous media. 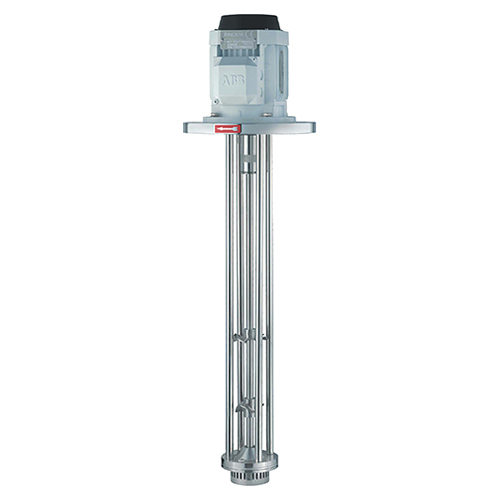 The high speed and adjusted tolerances between the rotor and the stator result in high suction potential, the product is suctioned from the bottom of the tank and driven to the centre of the head. 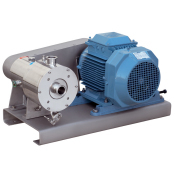 The product is suctioned from the lower part of the head and the rotor thrusts it radially. Passing through the openings of the stator the product is mechanically sheared. the particles are sheared by the rotor at 20 m/s. And finally the product is hydraulically sheared while leaving the stator through the slots at a high speed . 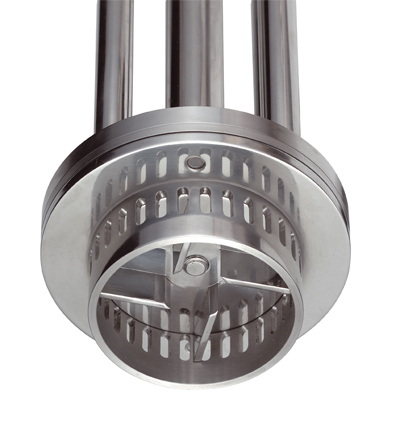 At the same time the product returns to the working head ensuring the mixing circle and generating a strong circulation inside the tank. 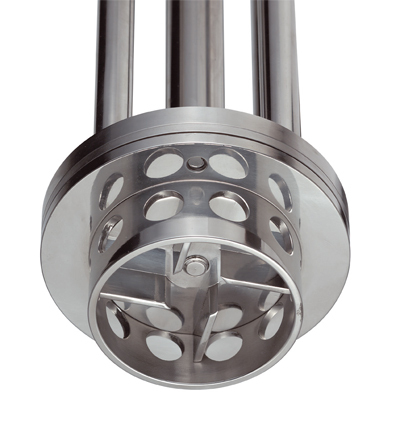 The combination of the vertical suction and radial thrust results in a circulation flow. 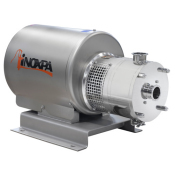 If the size and the power of the mixer are correctly selected, the ingredients contained in the tank pass through the working head hundreds of times that promotes a progressive and uniform homogenization. 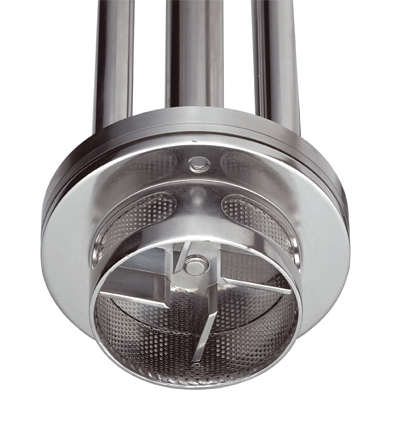 Other important feature is the possibility to minimize the aeration of the product. Possibility to replace the stator and the bushing without disassembling the mixer. Various types of interchangeable heads. 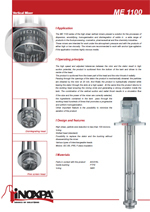 Motors: IEC B5, IP55, F-class insulation. DIN2632-PN10 flange or rectangular flange for the assembly on a tank. Peak friction bushing and ceramic lined shaft for abrasive media. Intermediate flange for long mixers.